Now that the thermometer has reached 77 degrees and the birds are singing in Dayton, it’s hard to imagine that I was scraping snow off the windshield just last week. The sun is back and work has restarted on the hotel. 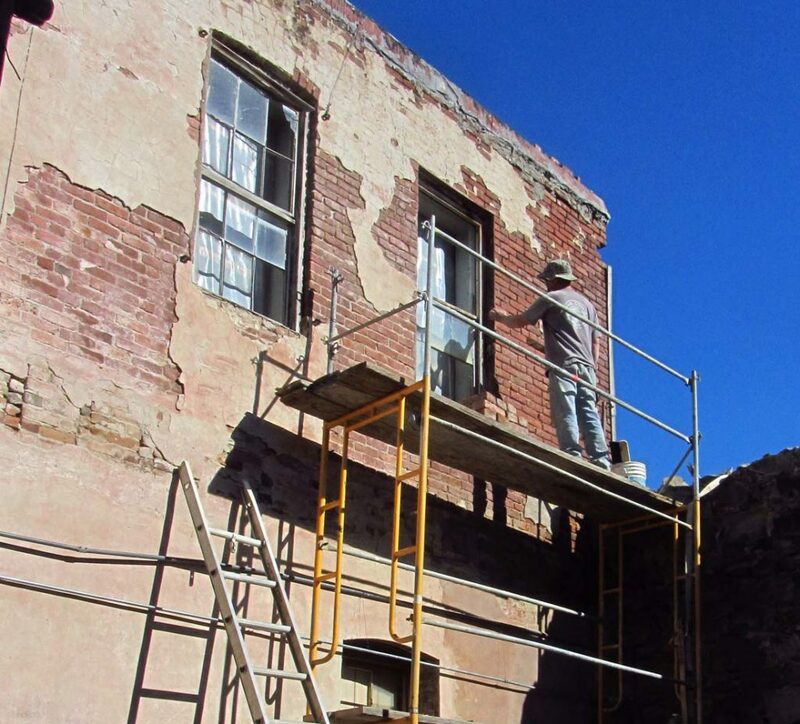 We’ve selected a contractor to do the seismic retrofit and our mason has returned to finish the repointing. As for the interior, my wife and I worked all winter to prepare access for the seismic work and in so doing, discovered that the sub floor was in pretty bad shape. It was worn thin in many places and even though it was covered by another layer of wood floor which we removed, it still smelled of dog pee. New plywood was the best answer. The back wall is still wet from the winter weather which is actually an historic problem for this structure. The building never had downspouts where the water pours off the roof and the rear wall is absolutely soggy. We’ll be fixing that with tin scuppers that the Historic Commission has already approved. In a previous post, we talked about colors and to add to that, we are now collecting sample materials. In the basement, I found several samples of the original Linoleum. The black sample was used as a kitchen counter in the post office. It’s a mystery where the green sample was used but I like it and Armstrong has a modern version of it available. Perhaps we’ll find a place for it. 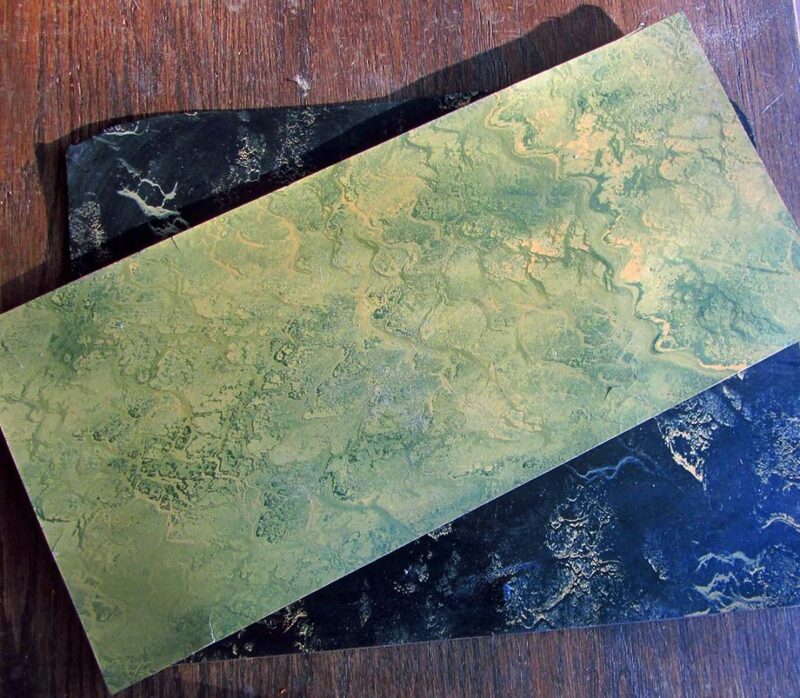 It’s interesting to note that real Linoleum similar to these samples is coming back into style. The driving force behind this trend is that it’s a natural green product made of linseed oil and jute backing unlike modern vinyl which is a petroleum based product. 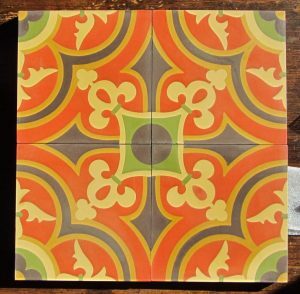 Another product that is making a comeback is encaustic tile. Encaustic tiles are hand made from colored cement that has been cast in patterns. The tiles are thick and heavy but they have a quarter inch thick color layer which can provide hundreds of years of use without wearing through the pattern. 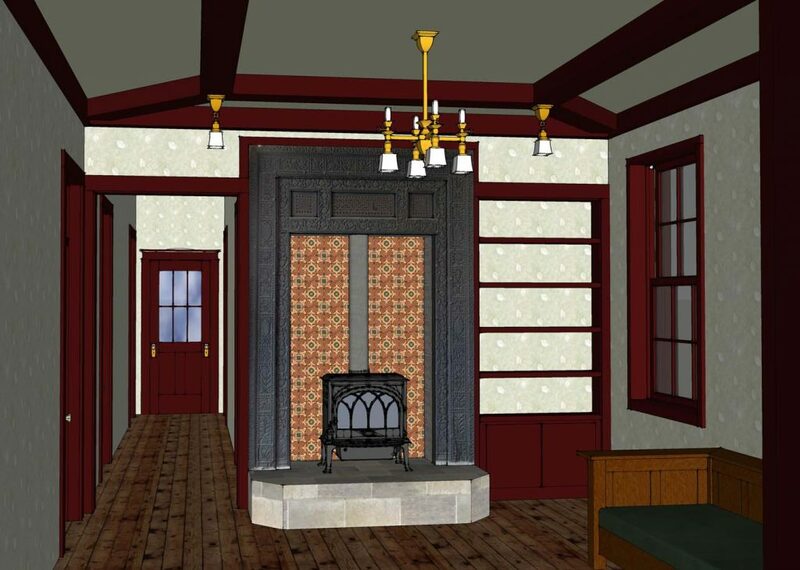 My wife and I have selected this pattern as a candidate for the upstairs living room. The tiles would be used as a backer for the wood stove. The frame around the stove is a teak door frame from India that I found years ago but never quite figured out how to use. 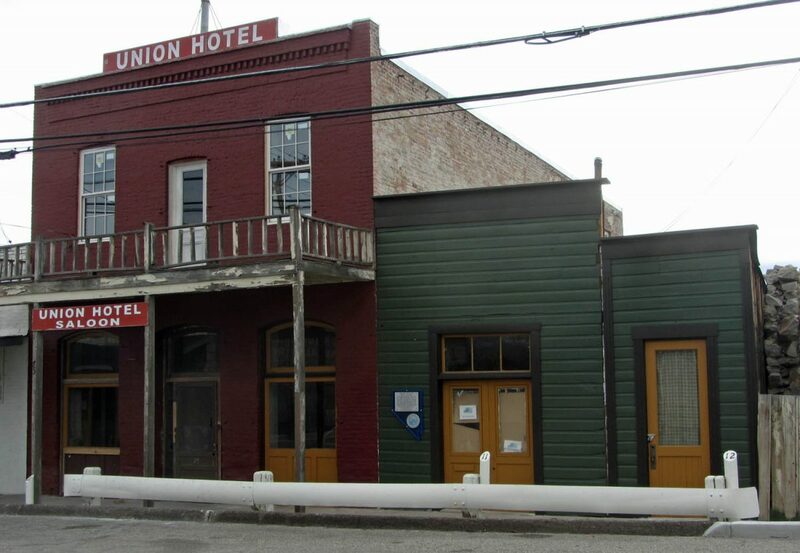 It will work perfectly in this location and provide a bit of Jack London to the interior. In his home in California, Jack used numerous architectural elements gathered on his world travels and this eclectic eccentric look is just the sort of thing my wife and I love. That green Linoleum sure looks familiar. It’s been in my mom’s kitchen since the house was built in the mid 1950s. It’s still in good shape, even in the high traffic areas. That’s one of the reasons I like this product so much. 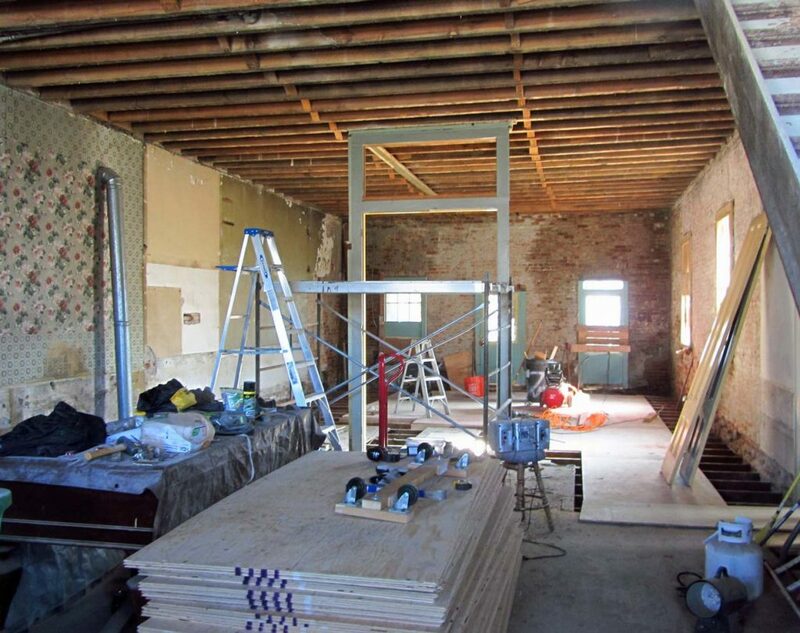 That old stuff may be hot, (asbestos) so be careful if cutting it or you see any flaking. We only have the small samples which we’ll leave intact. What we’ll install is modern repro from Armstrong which will not have any of that nasty mineral in it.